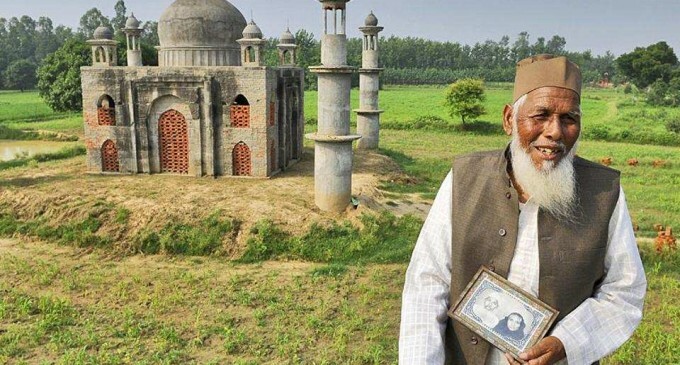 Faizul Hasan Qadri, who hit headlines for building a ‘mini-Taj Mahal’ in memory of his late wife in Bulandshahr district of Uttar Pradesh, has been killed in a road accident, police said on Saturday. He could not complete his ‘monument of love’ as he spent all his savings in the basic structure. After the news of the ‘Taj Mahal’ spread, the then Chief Minister Akhilesh Yadav summoned Qadri to Lucknow and offered him funds to complete the structure and get the marble work done. They would also complete Qadri’s Taj Mahal in a grand manner. The family has refused post-mortem of his body.